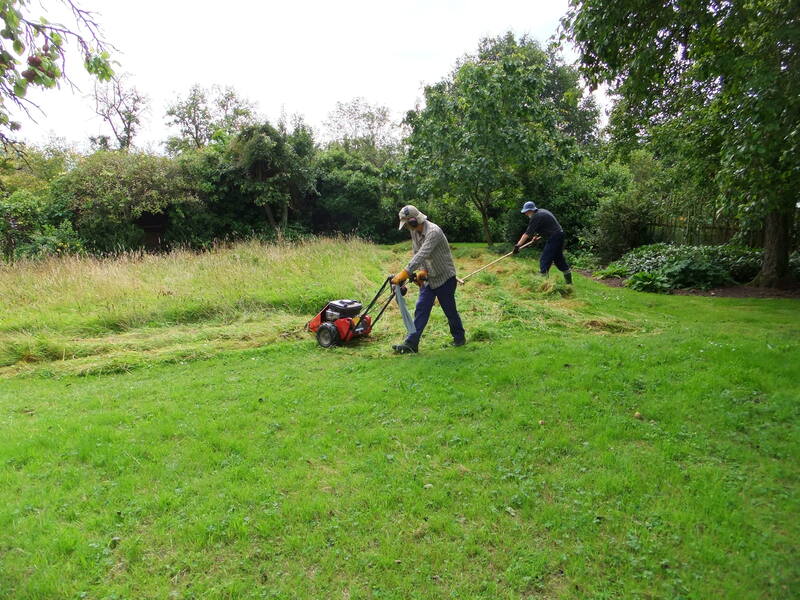 Dean Meadows Group are getting involved with Westbury-on-Severn C of E Primary School to convert part of their ground into a meadow. The site is about 60 square metres, it has been previously cleared of vegetation and then covered with matting in the last 18 months or so and then mainly uncovered so that most of the ground has a disturbed ground flora with lots of entirely bare ground between the plants.DMG will work with the teachers and school children to prepare and plant the area and advise on how it should be managed; we can also help with plant identification. Committee members clearing the ground. 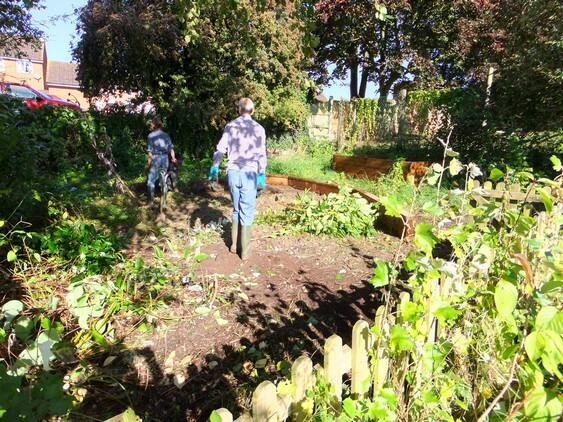 After a few weeks the ground was re-seeded by some pupils with local meadow seed. 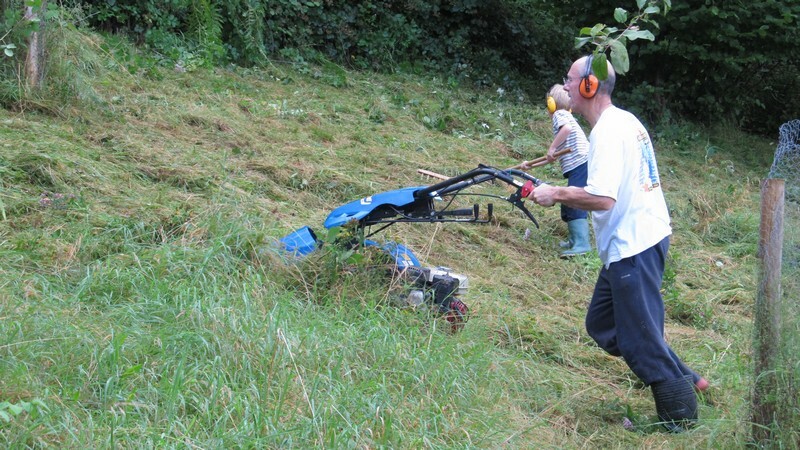 Rosie Kelsall’s family cutting the grass on their quite steep ( or even very steep!) orchard. Well done! 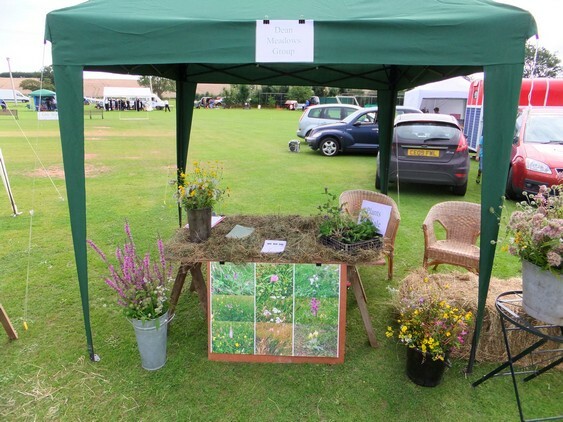 Dean Meadows Group had our stall at the Westbury Show, Westbury on Severn. 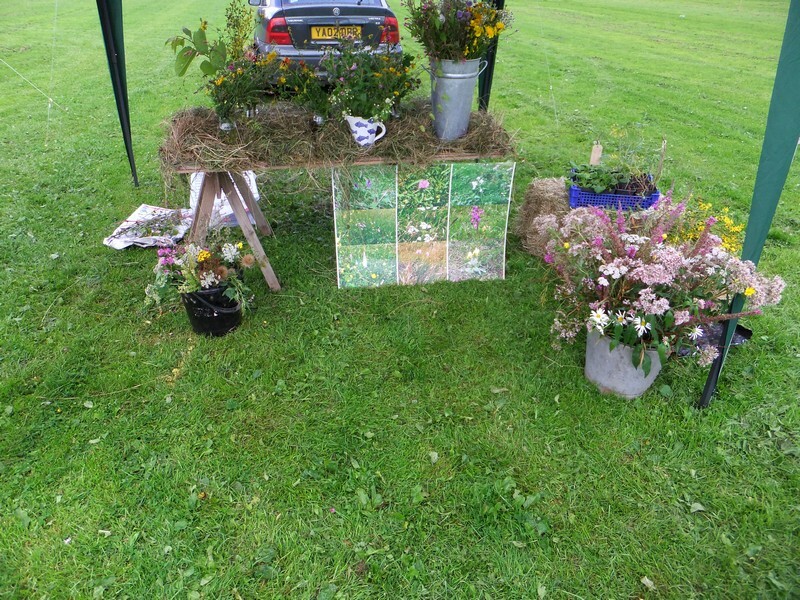 This time the weather stayed good and we talked to quite a few visitors with meadows or who wanted to begin one. 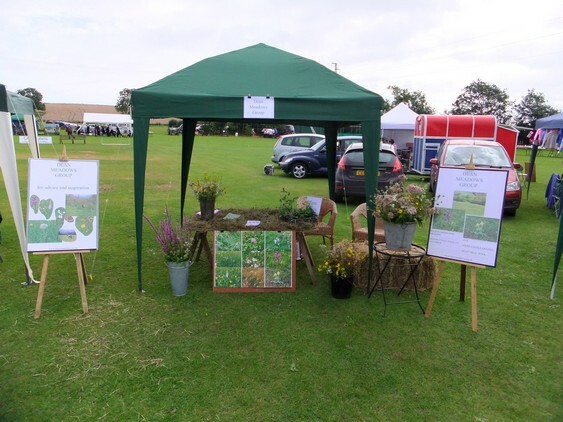 Dean Meadows Group stall at Blakeney Duck Races. A very enjoyable day until the mid afternoon thunderstorm. 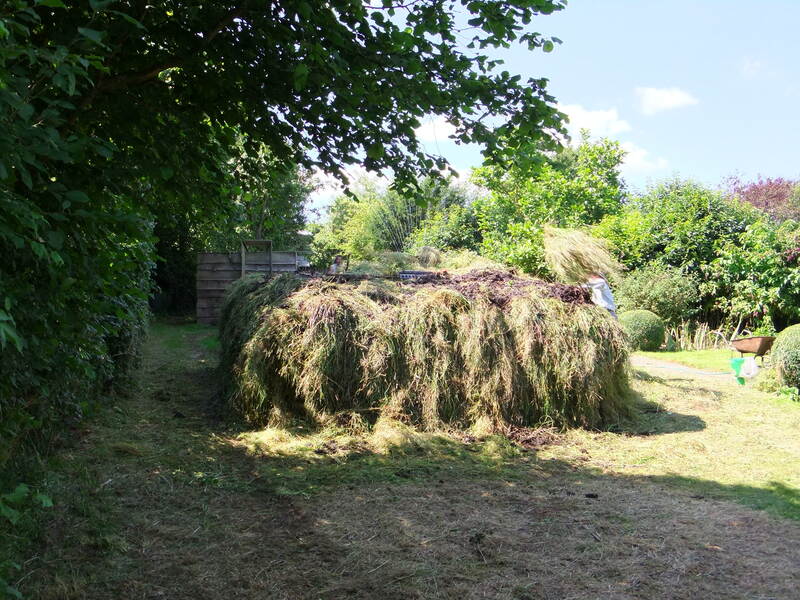 August 9th and 10th 2012 cutting hay and composting completed. 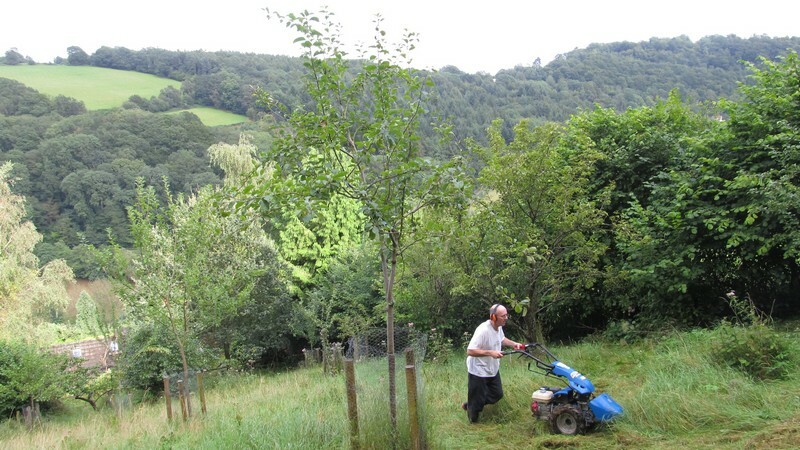 Chris and Sally Parsons have an area of orchard and wildflower meadow of approximateley one and a quarter acres in their garden. 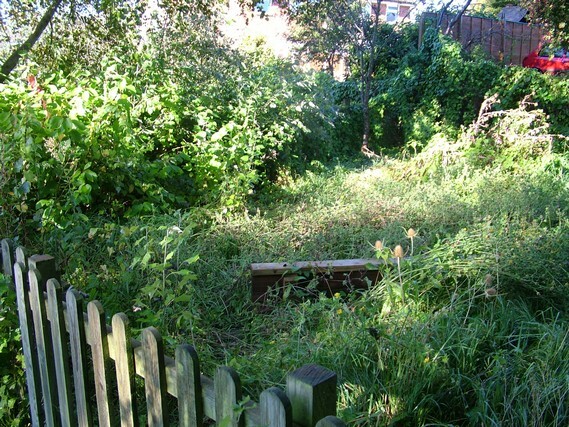 It is cut with a sickle bar mower and composted. This is one way to deal with a meadow that is not suitable for tractor operations. 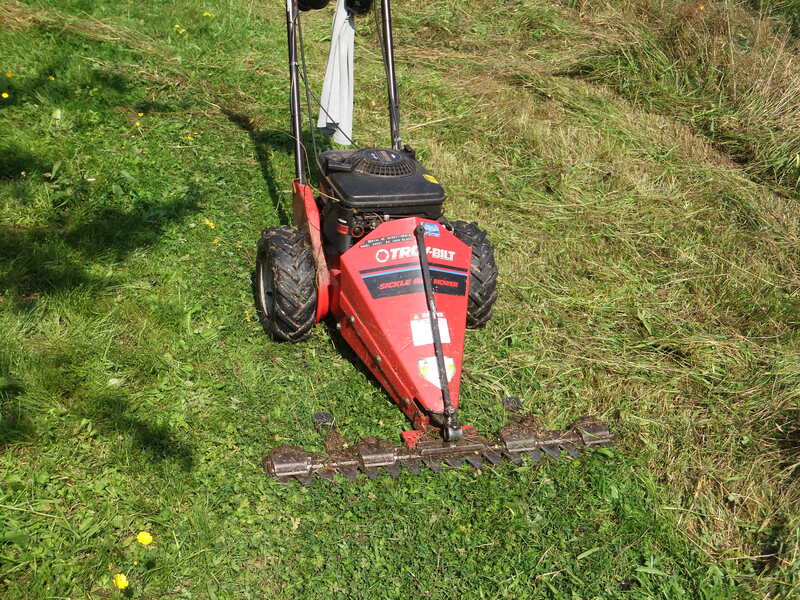 The sickle bar mower that Chris uses. The machine can be turned in a tight circle. 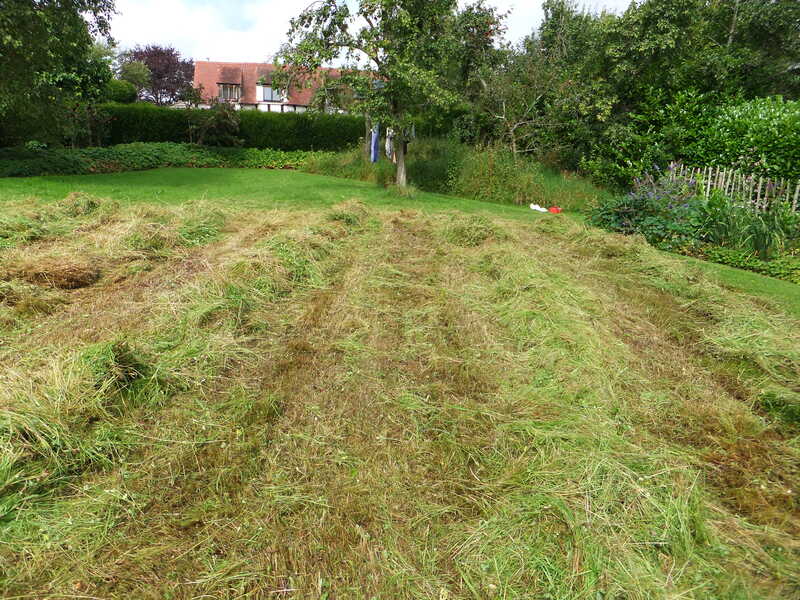 The grass is raked into rows for easier collection. The compost heap under construction! 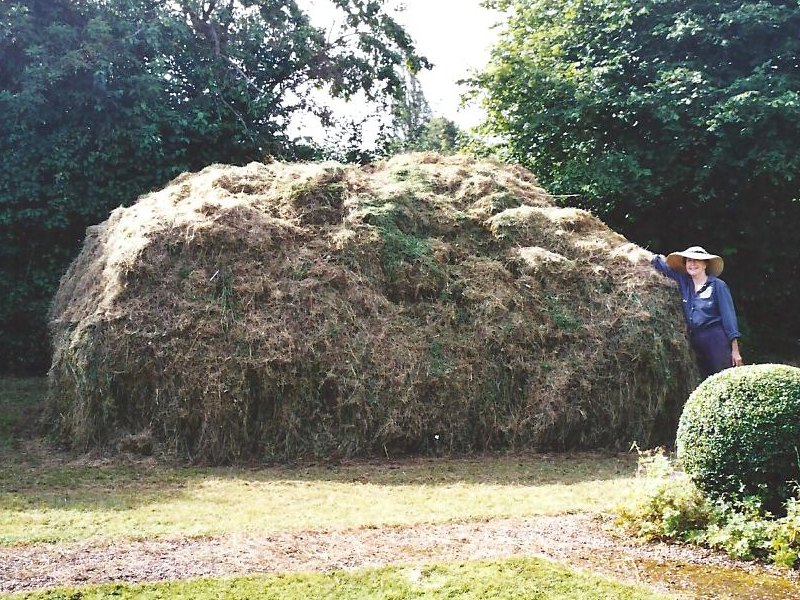 The end result after using a ride on mower to cut and collect any remaining material. Jo Phillips of the Dean Meadows Group introduced some children from Walmore Hill Primary School playgroup to the meadows at The Meeting House, Flaxley. With Mums and Dads in tow, the children enjoyed sunny weather for the visit. 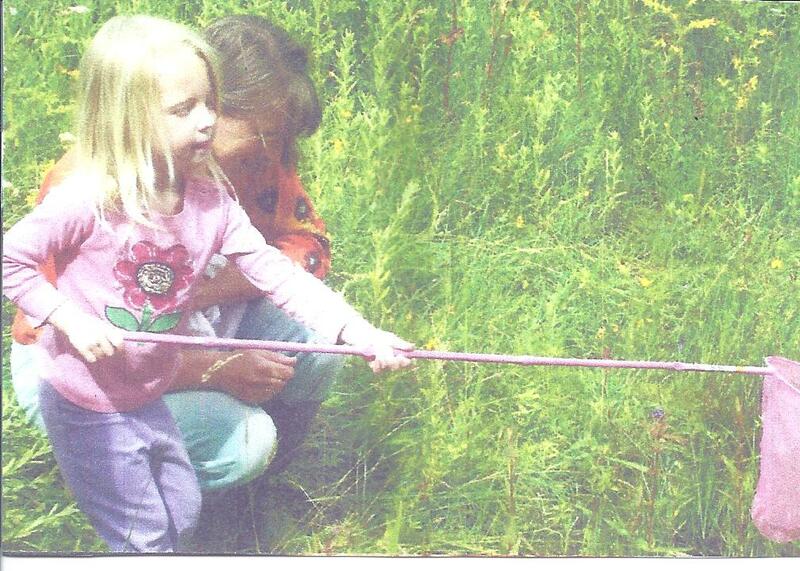 Everyone had a fine time and saw plenty of meadow wildflowers and butterflies. There are several ponds where the children found “newts, nymphs, water boatmen and lots of other pondlife”. Anybody wishing to find out more about the Bright Horizons playgroup or may be interested in their child joining any of the playgroup sessions, they should contact Nicola Donlon on 01452 760219. 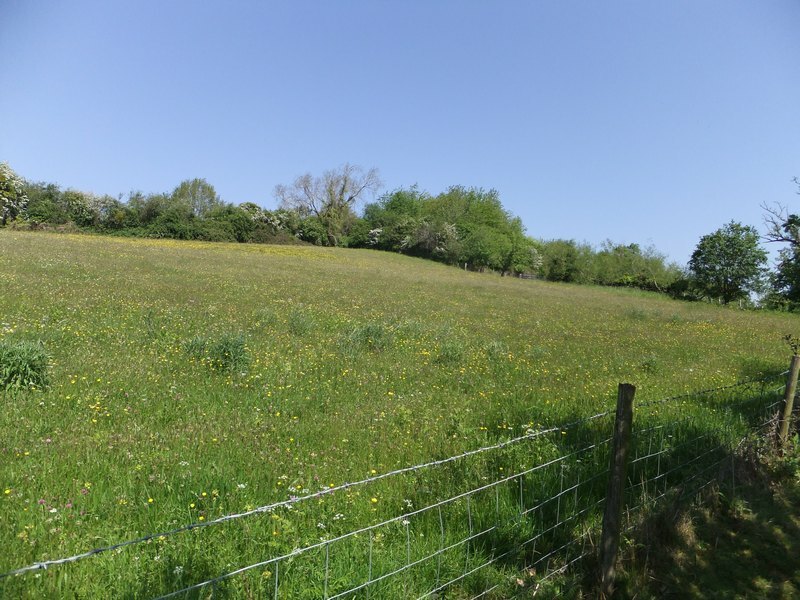 Owners Chris and Sally Parsons will be opening their key wildlife site; 19 acres of wildflower meadows, garden/ orchard, ancient orchard and new orchards. New Road is the road connecting The Greyhound pub on the A4151 and Flaxley village. The Meeting House is near the Flaxley end, on the left hand side if coming from Flaxley. Parking in field next to the house. Two properties open on Pope’s Hill, turn off A4151 at The Greyhound ( dinosoaur in garden). 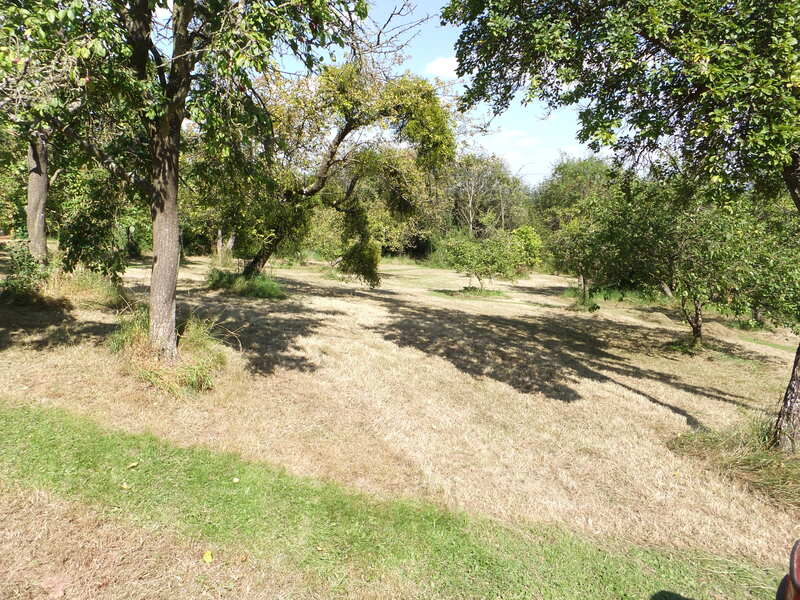 One is a meadow in the making, it is about an acre with old and new fruit trees and bee hives, the other is two acres of established unimproved hay meadow. Parking on New Road towards Flaxley ( GL14 1LE) which will be signed or at the top of Pope’s Hill . Beware – satnav takes you beyond where the meadows are so call Derek Foster 01452 760296 for more details. 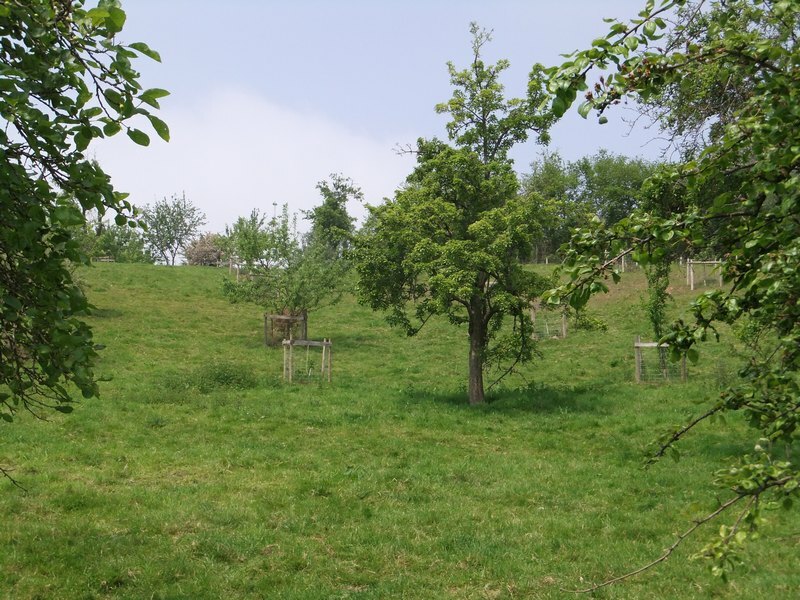 Owners Chris and Sally Parsons opened their key wildlife site; 19 acres of garden, garden/ orchard, ancient orchard, new orchards and wildflower meadows. Donations in aid of the local Shingon buddhist temple. On Saturday April 21 2012 the group met at Flaxley Schoolrooms and participants had guided walks round the meadows of The Meeting House, Flaxley. Read the press release. 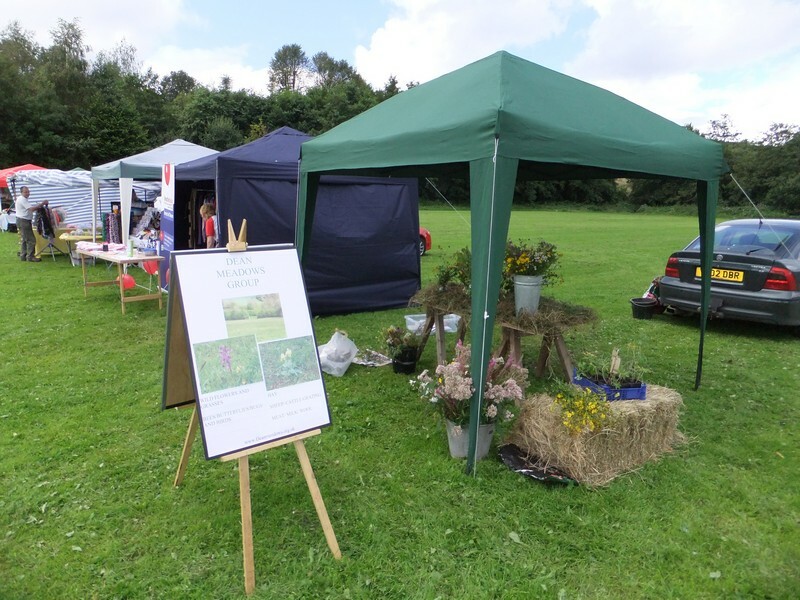 On January 25th 2012 in Westbury on Severn Village Hall we held an Initial Public Meeting to draw attention to our objectives and establish what level of interest and support existed in the Forest of Dean. 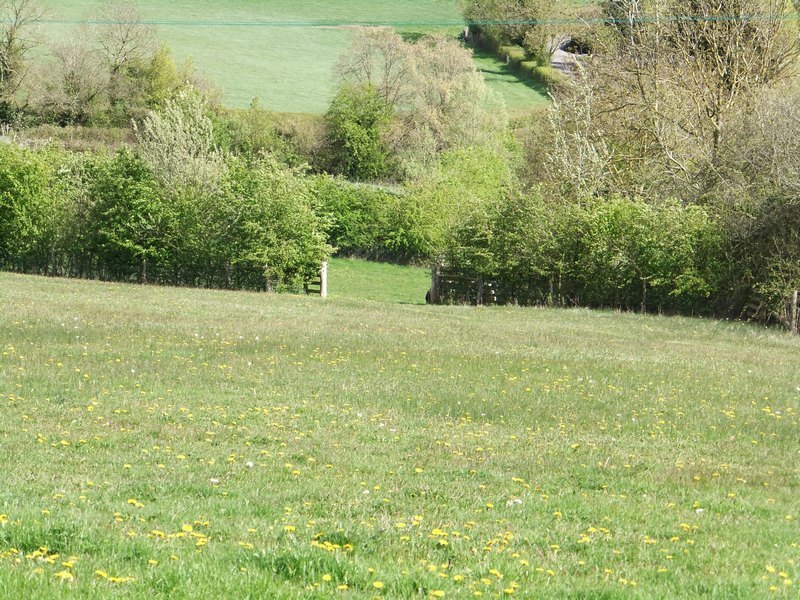 We had three speakers at the meeting: George Peterken of the Parish Grasslands Project, Stephanie Tyler of the Monmouthshire Meadows Group and Rosie Kelsall of The Gloucestershire Wildlife Trust. The public response was extremely positive with over a hundred people attending the meeting with the majority of those expressing a willingness to join a Dean Meadows Group.